The first real exposure I had to The Kabeedies didn't impress me very much. This wouldn't matter, only I was writing for a semi-popular music website at the time and reviewing their début album Rumpus. I'm sad to say that I gave it a bad review. Having visited the record since I will freely admit that I was wrong and am sorry. If it makes anyone feel any better I did exactly the same to Let's Wrestle. Fading the song in with a whoosh, 'Eyes' is an instantly gratifying pop smash that recalls the Britpop heydays without once seeming like it intends to. The driven and jittery indiepop rhythm section and vocal harmonies on the choruses are fleshed out by a big production that gives the song the chance to both breathe and soar. Brass peppers the song, which when lifting up through the arrangement brings to mind summers and so much joy. Like the best numbers by Supergrass this mines all of pop's past to come up with three minutes of brilliance that you'll just want to lose yourself to. Play on repeat and you'll pogo yrself into dizziness. 'Eyes' may not be quite as good as last year's 'Santiago', but that's pretty difficult to manage. 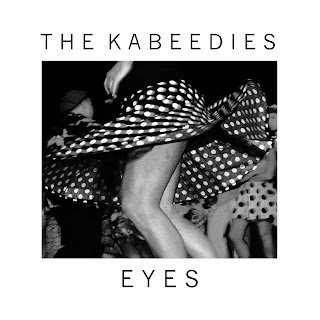 Providing both numbers are included on the forthcoming Kabeedies album it will be one to look forward to very much. I like your posts very much, would you like to write an article for Project Quality? If you're interested, send a mail to projectquality@yahoo.de . Would be great!